At an event in San Francisco on Wednesday, Comcast showed off a bunch of upcoming features that show it’s serious about dominating your living room. And perhaps even your life. Among the new features for its Xfinity X1 operating system is what the company calls a “talking guide,” which reads aloud menu and navigation information. The voice guide was demoed by Tom Wlodkowski, Comcast’s VP of audience, who is visually impaired. Not only does it read aloud menu items, network names, TV shows, and even Rotten Tomatoes ratings, but it also guides the user through how to use the controls, like the shape of the button that needs to be pressed. The feature will roll out to customers in the coming weeks on equipment they already have. Another new feature is a voice-activated remote control, which gives the user a more intricate way to navigate through dozens of settings, menus, and TV shows. For example, you could ask it to “show me kids movies on HBO,” and a list of movies for children will pop up. You could also ask it to search for specific movies or shows, or even ask it “what should I watch?” and it will give you a list of what’s trending or suggestions based on stuff you’ve watched in the past. Comcast also gave a peek at its integration with IFTTT, which allows people to create simple “recipes” that string together certain actions. Comcast Chief Business Development Officer Sam Schwartz demoed the feature, showing off possible use cases, such as integrating your cable box with your Jawbone wearable to notify you if you haven’t reached a fitness goal. As for Comcast’s future outside the living room, the company stayed unsurprisingly mum. 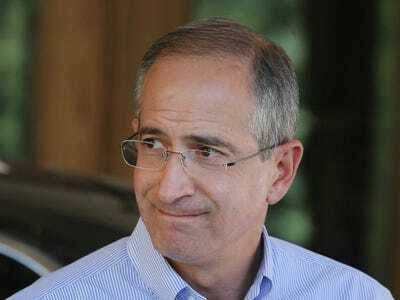 Comcast opposes the president’s plan on how to implement net neutrality, which is to put internet service into the same category as phone calls, essentially turning the internet into a utility. “I think we’re taking it one day at a time, but I’m excited about Time-Warner Cable,” he said. He also didn’t count out a possible future partnership with Google Fibre. “We have a relationship with Google, but I think [Google Fibre] demonstrates to me how vibrant the broadband and video marketplace is, and how fast it’s changing,” Roberts said. Regarding unbundling cable packages, Roberts said that the company is limited by its rights agreements with content providers. But he did give hope to Roku users, who currently cannot watch HBO Go via Comcast on their set-top boxes.